As a real estate agent, you know just how important it is to have a highly visible online profile. Almost 90% of home buyers search online when making a real estate purchase, according to NAR and Google. Making sure your real estate website appears at the top of organic search results is one of our top marketing tips for realtors, because it gives you a great opportunity to sign some new clients. Most Internet users don’t look past the first few results of their online searches, though, so you need to do everything you can to ensure your real estate website is in one of the top three positions. The best way to do that is with a strong real estate SEO (search engine optimization) strategy. Optimizing your site is easier than you may realize – you can improve your website’s SEO strategy in just 5 simple steps. Put this real estate SEO strategy into effect and get ready to watch your website climb! The keywords and phrases used to search for properties are constantly evolving, as different factors become more important in homebuyers’ minds. Perform keyword research and analysis to find the most popular real estate search terms each month. Remember, a majority of homebuyers use their smartphones and tablets to search for properties. You will need to check for the long-tail phrases used by mobile customers. Analyzing your competitors’ websites is a great way to make sure you haven’t overlooked any keywords or phrases that can improve your SEO strategy. Once you have identified the latest trending keywords and mobile search phrases, go through your website page by page. Update the keywords on your real estate website, paying attention to page titles, Meta descriptions, and the alt tags on images and videos. Then insert the new keywords throughout the content on your pages. Backlinks are a key part of your real estate SEO strategy, because Google assesses your links when it assigns positions in search results. Check the links you already have on your pages to make sure they are still valid. Search for opportunities to create new links with reputable websites in industries linked to real estate. All the webpages you updated on your real estate website need to be resubmitted to the major search engines. Make sure your pages are submitted to mobile search engines as well as the standard ones. If you would like more real estate SEO tips or need some help putting this monthly SEO strategy into effect, For Sale Marketing is here to help! 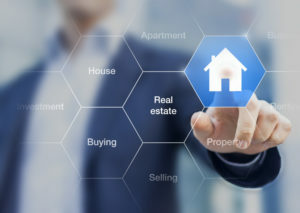 As a leading South Florida Real Estate SEO Agency, we can provide you with everything you need to improve your onsite SEO including a responsive real estate website design, expert SEO content creation services, a monthly SEO maintenance package, and more to ensure your SEO strategies stay on track. Contact us today at For Sale Marketing at 954-779-2801 for expert real estate SEO services to help your website get the high search position you need to succeed.